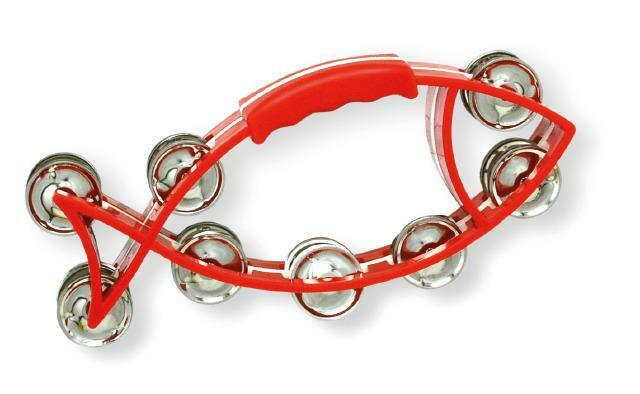 This fun-shaped tambourine offers a very "bright" sound and is perfect for all levels of play. Safe, durable construction with features such as contoured handle and "smooth edged" jingles for added safety. Colors vary. Dimensions: L: 8" x W: 3"